ALAMEDA, Calif. (KGO) -- Sports and music fans in Alameda got a special treat on Wednesday night. 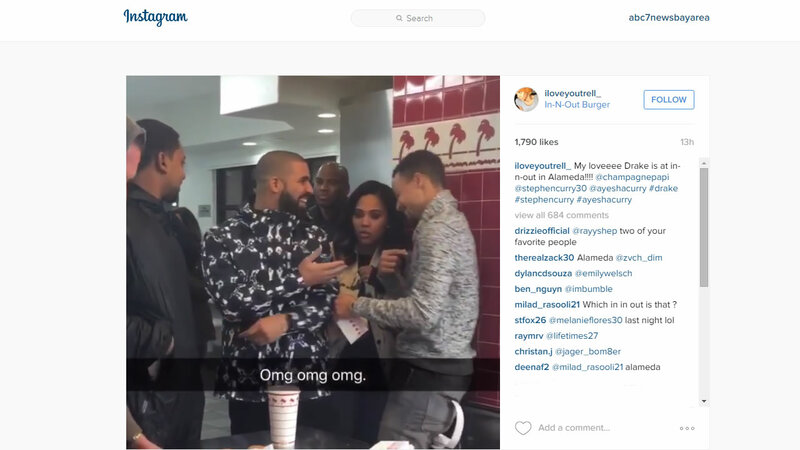 Latrell Conley posted a video on Instagram after she spotted Golden State Warriors star Steph Curry, his wife Ayesha, and rap star Drake at the In-N-Out Burger in Alameda. They appeared to be enjoying a burger and fries after the Warriors beat the Suns 128-103.